Join us and become a Lion! Would you like to know more about becoming a Lion? If you could give a few hours a month to raise money for local charities you would be contributing to worthy causes. We put the 'fun' in fundraising! 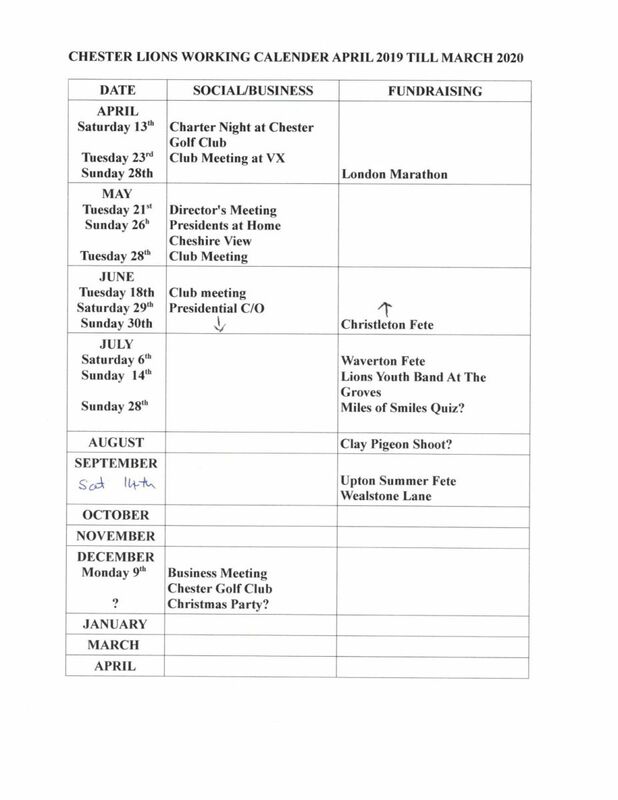 Our social evenings are very popular and well supported. More information under the menu 'Join us and become a Lion'. For details of the £42,786 cheque to the Neo Natal Unit at the Countess Hospital see the Club Projects page and photo below. The handing over of a cheque by Lion Anne Warner to Kathy Kenney of the Countess Fundraising team for £42,796! This is to fund the Nursing Station at the ne Baby Grow Neo Natal unit being built at the hospital. 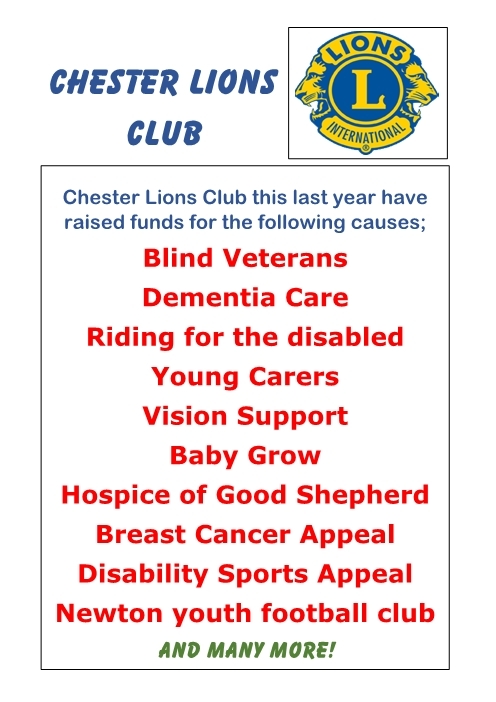 CONFIDENTIALITY: Information in the Web Site is for Direct Use in connection with the activities of Chester Lions Club in the provision of it’s Community Services work and the raising of funds to carry out this work.